Martin Jakobsson is the vice chairman of the General Bathymetric Chart of the Oceans (GEBCO) Guiding Committee and Chairman of the International Bathymetric Chart of the Arctic Ocean (IBCAO). He is a Professor of Marine Geology and Geophysics at the Department of Geological Sciences, Stockholm University. He has been head of Department since 2012 and he has served as the first vice president of the Royal Swedish Academy of Sciences since 2016. Hydro International asked him (and other leaders of organisations) 5 questions. GEBCO is the world’s only international organisation mandated to map the ocean floor. It was founded in 1903, following the efforts of Prince Albert I of Monaco. GEBCO has two parent organisations: the International Hydrographic Organization (IHO) and the Intergovernmental Oceanographic Commission (IOC) of UNESCO. At the Forum for Future Ocean Floor Mapping, held in Monaco in June 2016, Mr Yohei Sasakawa, chairman of The Nippon Foundation, which co-organised the Forum with GEBCO, announced a new initiative, namely, to map the entire seabed by 2030. GEBCO is now working closely with its partner, The Nippon Foundation, and other interested parties, to explore how to respond to this initiative and to put forward the structure and details of a suitable implementation plan. GEBCO is the home of IHO and IOC ocean mapping expertise with a pool of people who are leaders in all aspects in this field. They include technology experts in industry as well as research organisations, which work to develop leading edge technology, practical at-sea surveying expertise, data-processing and database managers, software developers, geologists, geophysicists and other relevant ocean scientists. As an IHO and IOC project, free from political bias and constraints, GEBCO can gather bathymetric data and resources from any nation, industry, research or academic organisation. In return, GEBCO provides information for communities and publics. The programme to map the seabed by 2030, with The Nippon Foundation and other partners, is a global programme with the focused goal of compiling a high-resolution, openly available Digital Bathymetric Model (DBM), portraying the world ocean seabed at the highest resolution possible, from the coast to the deepest trenches, by the year 2030. 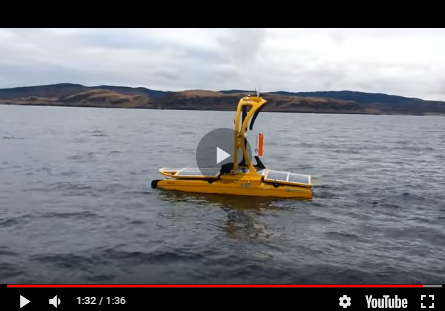 This DBM should provide bathymetric information to end-users and leave no features of the world ocean floor smaller than 100m unmapped by the completion of the programme. Capacity building is the most critical part of the research environment. Since 2004, The Nippon Foundation has provided funding for GEBCO to train a new generation of scientists and hydrographers in ocean bathymetry at the University of New Hampshire in the United States. This is designed to build human capacity in key coastal states by supporting the development of future maritime leaders. At present, 72 scholars from 33 countries have gained their Postgraduate certificates in Ocean Bathymetry. Six more scholars started their studies in September 2016. It is anticipated that this network will play a key role in mapping the ocean floor by 2030. Do you foresee any developments that will significantly change to the hydrographic sector?